Swing Clamp | Versatile Pneumatic | PB | PHD, Inc.
Series PB Versatile Pneumatic Swing Clamps feature options for long or short strokes as well as matching mounting patterns as a drop-in replacement. Four bore sizes with short or long strokes are offered to accommodate a wide variety of tasks. Left or right rotations are available and can be ordered to fit the application. 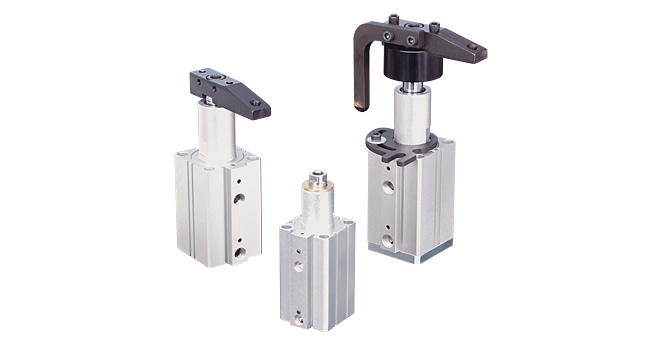 Series PB Swing Clamps are designed as superior workholding solutions for automotive, packaging, assembly, and general automation industries.